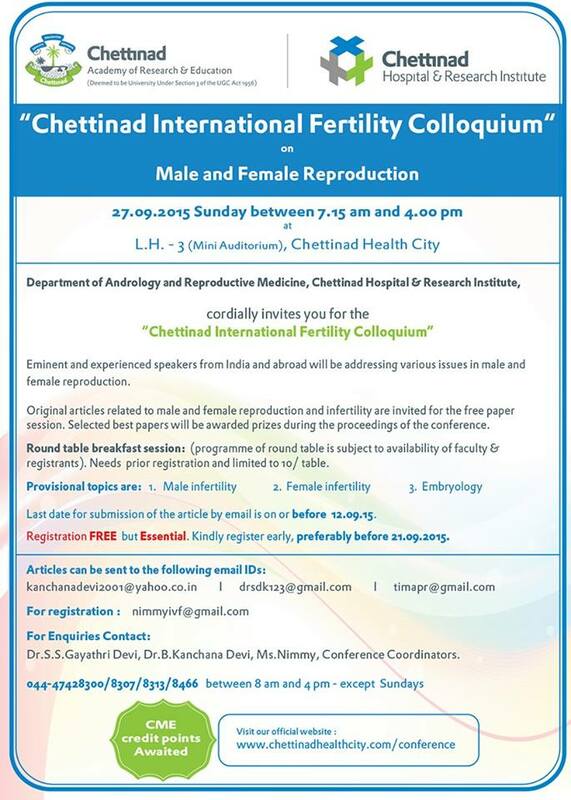 1st announcement of " Chet Int Ferti Col 2015"
The department of Andrology and Reproductive Medicine is organizing Chettinad International Fertility Colloquium on September 27th 2015 (Sunday), in Lecture Hall 3 (Mini Auditorium),Chettinad Health City. We are pleased to invite you for the CME and participate in the scientific session. 3.TN medical council registration number.